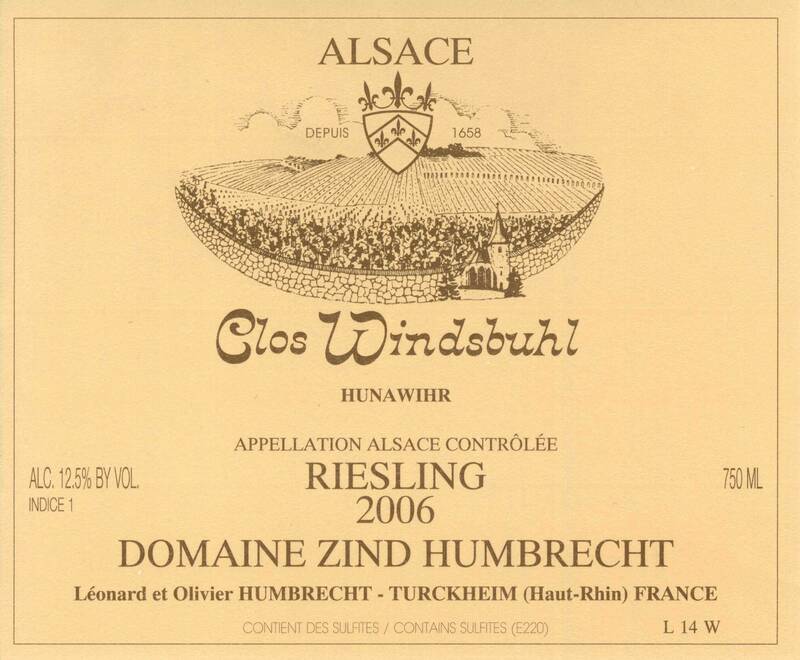 The Clos Windsbuhl is, with the Rangen vineyard, the less precocious site that we cultivate on the estate. The higher altitude, the old rocky calcareous soil, its location near the forest all participate to create a slow ripening process. Often criticized in the past for this characteristic, we think that on the contrary, it helps the grapes to keep a structure based on acidity and not alcohol, and also that the vines have more time to ripen the grape physiologically. In biodynamie, we would say that Saturn had the time to play its role… 2006 may have been a very precocious vintage with lots of grapes in Alsace suffering from rot, but here, in the Windsbuhl, it looked like the vines were disconnected from the vintage and that nothing happened. We were able to harvest the Riesling late, under great weather condition, without grey rot and of course, with this ‘Windsbuhl’ textbook acidity. 1/2008: the nose does warn you: be careful, this isn’t just another fruity easy Riesling style. It is packed with minerals, strong lees influence and it is almost possible to associate all those stony flavours with a raging acidity. The sugar maturity wasn’t high, so the wine appears elegant and delicate at first, but then the dry and racy character kicks in. This is great dry Riesling!